100PLUS was launched in Malaysia in 1983. Ahead of its time with its Sports & Active Lifestyle positioning then, success did not come easily for the new brand. However, the management of the company behind the brand believed in the potential of the product and persevered. The company worked tirelessly and continued to invest resources, time and effort to build the brand and to promote 100PLUS to the sporting community who were then unfamiliar with the merits of isotonic beverages. The company's foresight, vision and tenacity eventually paid off. As people started becoming more health-conscious, a distinct accompanying shift in consumer preference towards healthier alternative drinks took place. This and the increasing adoption of a more active lifestyle, made consumers start choosing 100PLUS over others. 100PLUS is the first isotonic beverage to be launched in Malaysia. It is thirst-quenching and caffeine-free, specially formulated to help restore what the body has lost during physical exertion and rehydrate the body to its optimal hydration balance. Its unique formula combines fluids, carbohydrates and electrolytes for quick and efficient absorption of fluids into the body. 100PLUS is one of the leading brands under the F&N flagship in Malaysia. 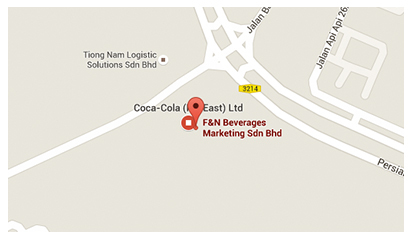 It is produced and distributed by F&N Beverages Marketing Sdn Bhd, the largest soft drinks distributor and manufacturer in Malaysia.